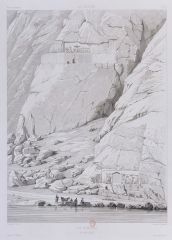 In 1840, the painter Eugène Flandin (1809–1876) and the architect and painter Pascal Coste (1787–1879) were sent on mission to Persia by l'Institut de France in order to write up an inventory of the country's past and contemporary riches, and to renew the political and economic ties between France and Persia. The mission was directed by Édouard de Sercey, who soon returned to France. However, despite the trying conditions, Flandin and Coste were able to stay for two more years and collected an impressive archive documenting the sites they explored. 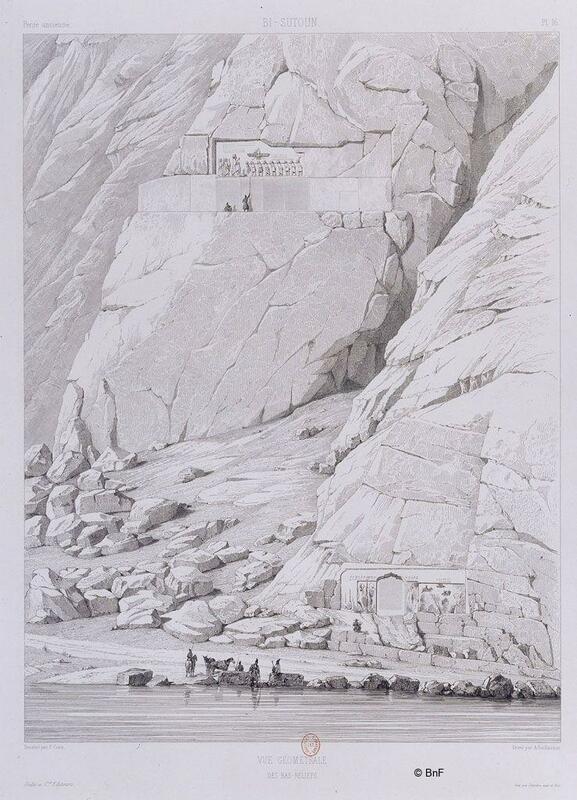 This is a print of one of the bas-reliefs in Mount Behistun (Iran), which Darius had carved during the 6th century BC.